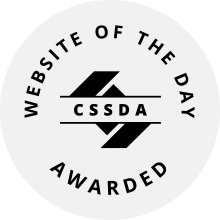 Please chose your official CSSDA WOTD monogram from the options below. Right click or drag to your desktop to download the PNG of your choice. 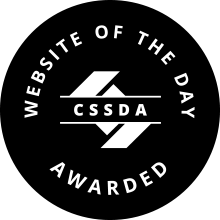 Then place it on your site with a link back to your award page. 1. Click the Codepen link below. 2. Copy and Paste the HTML from the Codepen window into your code. 3. Copy and Paste the CSS from the Codepen window into your code. - Change the positioning and decide if you want it 'absolute' or 'fixed’. - Change the 'z-index' in order to move it forward or backward in your layout. - Change the colors that you prefer and make it suit your site! - Change the 'hover' animation to create your own unique version of the monogram. 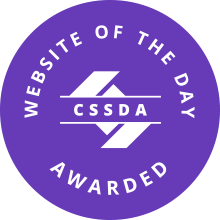 See the Pen CSS Design Awards Monogram by Lorenzo Bocchi (@LorenzoBocchi) on CodePen. Note: The monogram showing in the Codepen window is in a responsive mode.